Oooooh - cold and dry. My favorite. These are the days I pull out my inherited Alaskan mukluks and go about the animal chores with toasty feet and a song in my heart. Texas hasn't had a winter that was any match for these wonderful boots. 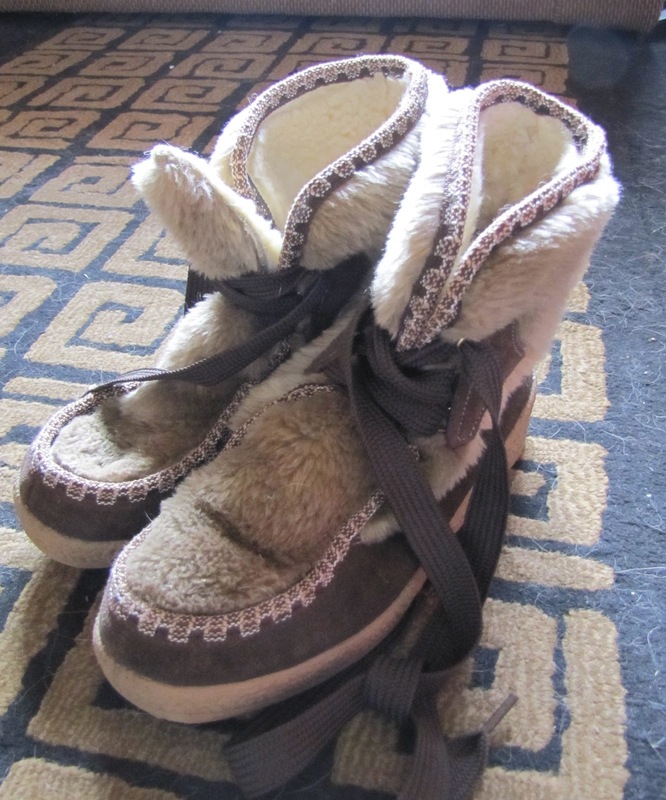 And after this current warm spell passes, my trusty mukluks and I will hit the trail again. Wish I had some o' those ! Oooh, the mere site of these has my frosty toes twitching!